1) What are your own origins, Ian? Plus what path did you take in life to get to where you are today? I was a child of the 70's, and grew up unsupervised in comparison with today's lot. I have taken many jobs over the years, but have always wanted to be a writer even when they told me at school to be more realistic. I have always written in my spare time and can still recall receiving my first payment for a magazine article. 2) What inspired you to create the Jack the Ripper novel, ‘A Secret Step’? I've always wanted to write the story of a peripheral, irrelevant character in the 'Whitechapel Autumn of Terror in 1888'. Someone who was around at the time, who could get caught up in the Ripper murders, but wouldn't really get noticed. It took a while before I settled on a ten year old boy. 3) In your own words how would you describe this story? 'A Secret Step' is at its essence a story about two Whitechapel boys born 50 years apart. Each dragged at the age of ten into terror and danger way beyond anything they should be able to deal with and how we all cope to varying degrees. 4) If ‘Secret’ was a song, what song would it be and why? If 'A Secret Step' was a song it would be 'Tonight The Streets Are Ours' by Richard Hawley. I love the idea that a different type of person comes out at night. 5) If you could get a celebrity – either living or dead – to promote your wares, what person would you get, and why would you want to choose this particular person? 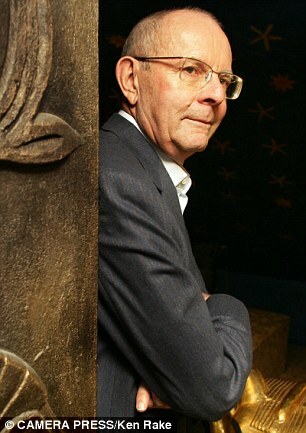 Wilbur Smith. Purely and simply because he is the absolute master of the novel. 6) What have you learnt about yourself during this venture? I have learnt about myself. 7) Were their any unforeseen obstacles you had to contend with along the way? Most of my unforeseen obstacles were minimal because I have encountered most of them before with manuscripts that never quite made it. However, I would have to include proofreading the manuscript with my publisher. This was something new, and many four hour sessions had to be endured. I felt like a kid in the classroom on a hot summer's day. 8) During your time in this field, what is the one thing that has kept you in good stead? The fact that I really enjoy sitting down to a blank screen and getting so immersed that I lose track of time. 9) If your book had a credo, what would it be? It would be that the 'Dead End Kids' deserve recognition for what they did during the Blitz. That children in general are highly adaptable and some horrors will stay with a person for a lifetime if you let them. So there you have it, folks, 'A Secret Step ' by my pal Ian. When you have the time please buy a copy via the link provided, and check out his official not so secret website too. Go on. Click-Click. It'll do you some good.